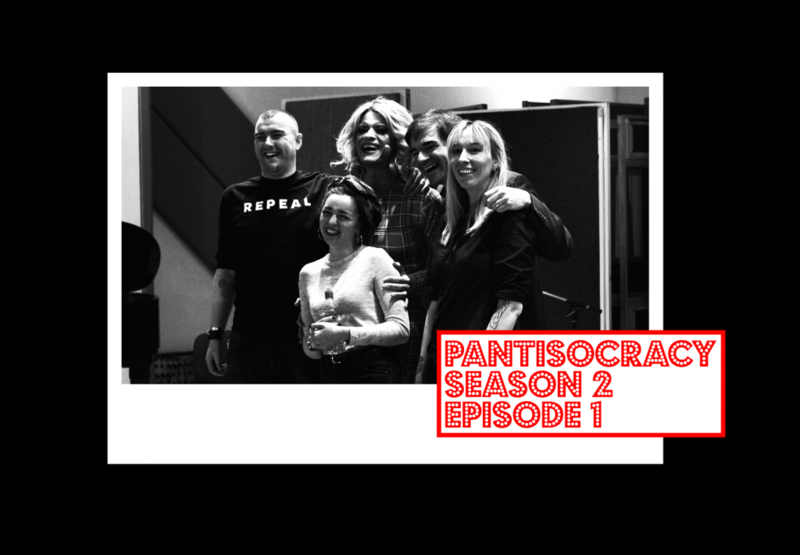 In the first episode of Season 2 Panti talks home and identity with guests wordsmith Stephen James Smith and musicians Farah Elle, Cáit Ó Riordan and Fiachna Ó Braonáin. Stephen, a performance poet from Tallaght, shares his word ‘Dublin You Are’ – a hymn to his home town warts and all, while Farah Elle, a young Libyan Irish singer and songwriter performs her song ‘Silk’ with its unique sounds of both countries. Ex Pogues bassist Cáit Ó Riordan talks of moving between New York and Dublin and her new work playing bass with award winning poet Paul Muldoon while Hothouse Flowers Fiachna Ó Braonáin explains why Paris is his second home. Both Cáit and Fiachna perform together reuniting their former band life in PreNup named because everyone in the band was at that stage going through a divorce!